Early May I published updates for my ‘ktown’ repository, mainly focused on Plasma5 whose packages I updated to 5.9.5 because this is the last release before moving to 5.10 next month. But there were new releases for Frameworks and Applications after that date, so I did a second May update: KDE 5_17.05_02. It contains: KDE Frameworks 5.34.0, Plasma 5.9.5 and Applications 17.04.1 with Qt 5.7.1. What’s new in KDE 5_17.05_02? All new packages were compiled with the new gcc 7.1.0 compilers of Slackware-current – and that went more smooth than I had anticipated. Frameworks 5.34.0 is a maintenance release, see https://www.kde.org/announcements/kde-frameworks-5.34.0.php . It also contains a security bugfix in kauth. That same kauth bugfix went into kdelibs. An updated package is available in ./kde/kde4/ . Applications 17.04.1 is the first bugfix update for KDE Applications 17.04. See https://www.kde.org/announcements/announce-applications-17.04.1.php . This should include the fix to libkgapi which makes Kmail work with Gmail’s IMAP again. The remainder of this post is almost identical, every time I write about a new Plasma 5 release for Slackware. It contains the installation/upgrade instructions and other helpful remarks. 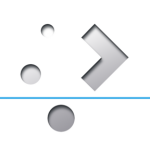 If you are new to Plasma 5 for Slackware, I recommend reading on. Otherwise you are already knowledgeable, so have fun! You can stop reading now. (only for Slackware 14.2) ffmpeg: used by several KDE programs. Upgrading to this KDE 5 is not difficult, especially if you already are running KDE 5_17.05. You will have to remove old KDE 4 packages manually. If you do not have KDE 4 installed at all, you will have to install some of Slackware’s own KDE 4 packages manually. Luckily, KDE 5 is mature enough that there’s almost nothing left from old KDE 4 that you would really want. Posted: 22 May, 2017 in Slackware, Software. Thank you Eric! So far it’s working OK. When you say you will no longer be releasing 32-bit packages for 14.2, do you mean that you will be continuing to release them for –current or that you aren’t going to be keeping up 32-bit packages at all? Why KDE 5 is still not in Slackware current? It released more than 2 years ago and should be quite stable. Plasma 5 will likely be added to Slackware before the next release. It is already rock solid. But that is not up to me – Pat Volkerding decides the pace of updates. Pat works from bottom to top: first the core of the OS needs to be stable and good, and then the desktop environment will be handled. In the meantime, you can get Plasma 5 packages from my repository. Since upgrading to 170502 ( this morning ), dialogue boxes in gnome apps ( eg. Thunderbird ) are borked – dividing lines are missing and colours look off. I’ve done a full reinstall of all packages a 2nd time to make sure I didn’t leave anything out. But no luck. Any ideas? Have you tried using the latest qt which is now at version 5.9 with KDE? OpenSUSE Tumbleweed is now using qr5.9 I’ve tried build qt 5.9 on Slackware 14.2 using the slackbuild on your site and the slackbuild on slackbuilds.org but it failed to build due to the change of location of some directories. Not that it would make a huge difference whether qt 5.7.1 or qt 5.9 is used but it would provide Konqueror users who use WebEngine a more current layout engine. Although, I most commonly use Firefox to browse the web. The packages work well for the most part. The only serious bug is that the game knetwalk shows a black screen when the icons are set with qt5ct which is a program to set appearance and icons for qt5 apps when a minimalist windows manager is being used. I could report the bug at the qt5ct web site. Ronald, I am running the latest Plasma5 release using Qt 5.9.0 on my laptop. I have the 32bit and 64bit packages ready for Slackware-current but I am unsure whether I have the time to release packages for Slackware64 14.2 this month. Compiling Qt and Qt-webkit takes ages on my old hardware. We’ll see. But in any case, the new ktown packages will be uploaded somewhere this weekend if I don’t find regressions because of switching to Qt 5.9. Robby – it’s likely that this is caused by the GTK theme engine in Plasma5. It should be fixed in the upcoming Plasma 5.10 package release which I am preparing. See https://cgit.kde.org/breeze-gtk.git/commit/?h=Plasma/5.10&id=0a34d8667c6ebfd489bd6ff17bd965dda7375900 for the commit that should bring the fix. Thanks very much Eric, I took a look at the patch but as other stuff might be affected, I’ll hang on for the updated package.